"Shabby Chic -- Golden Era"
I love them all, but I especially love the turquoise and silver bracelet! The beads are gorgeous (and my favorite color!) and go so well with silver. I've been wanting one of the crab pendants for some time also...thanks for the inspiration!! These are all beautiful! I love the filigree shabby chic! 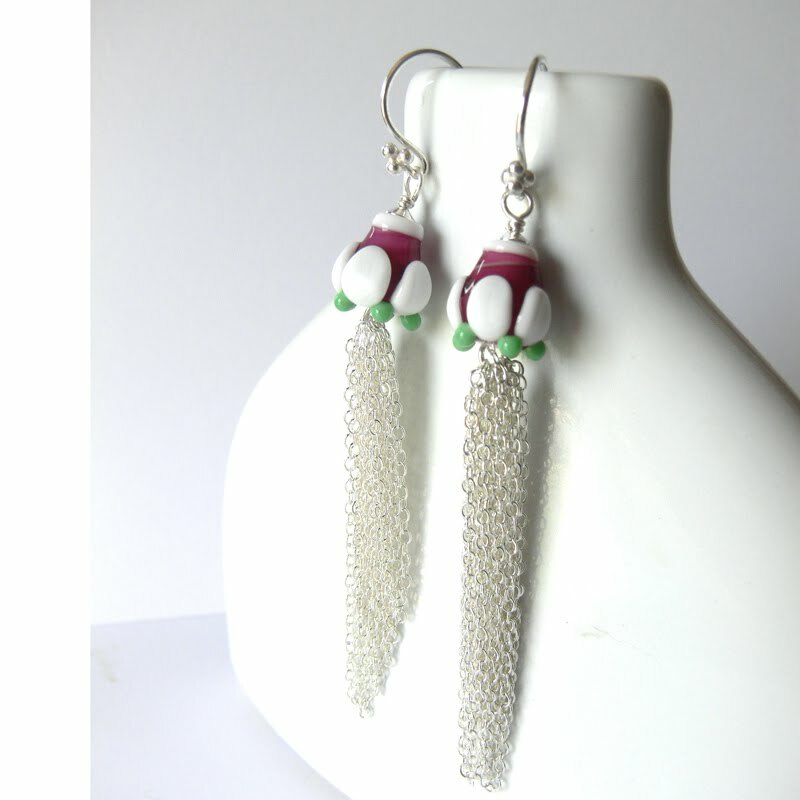 I like the way you used the spacers on the bottom as beads. 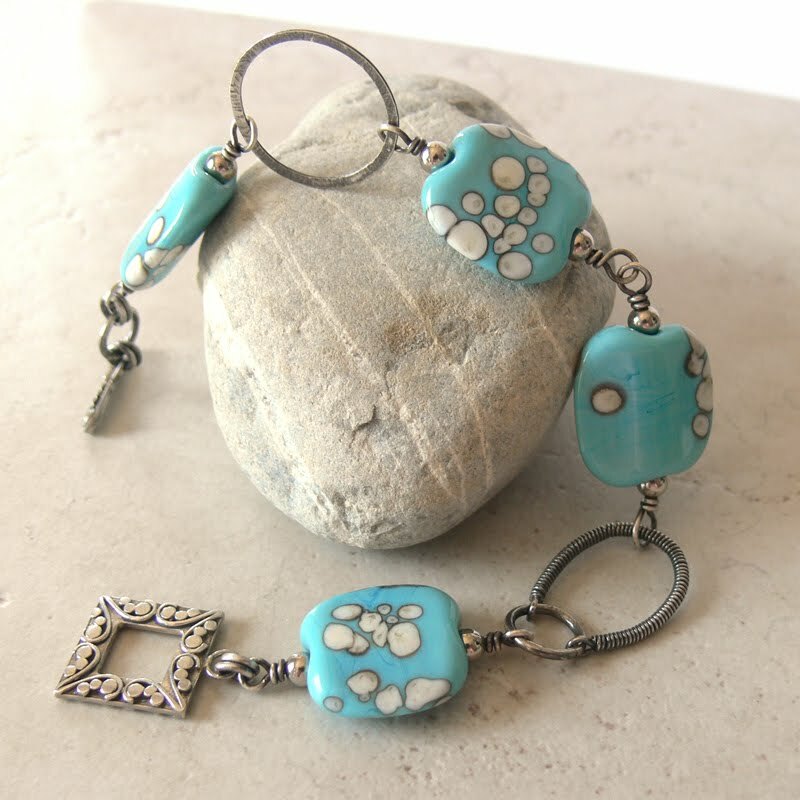 And I love the lampwork in the Grand Tetons bracelet! I love them all - I especially like the name "Feeling Crabby" (that is too cute)! I also love the earrings "How My Garden Grows" - I love the fall of the chains. AWESOME! LOVE the face of the crab! All so lovely. Love "Grand Tetons." That's truly eye-candy. And Grand Tetons is my favorite! "Feeling Crabby" should so be mine! I love them all! Oooh...I love the crab necklace. 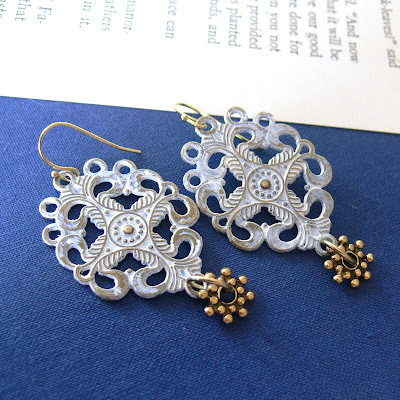 And I have to laugh - I just finished a pair of shabby chic-type filigree earrings and I think we got our components from the same vendor (although mine are pink) I love what you did with yours! Pretty! I especially love Crabby! Too cute! A beautiful assortment of jewelry here, Lori! 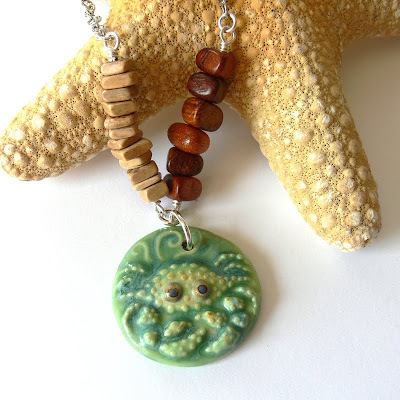 I have to know...where did you get that cute focal in the "Feeling Crabby" piece....just love it! Ooooo...I love the last pair of earrings! And Feeling Crabby is really cute! Love those last earrings. Love that vintage vibe. So pretty! Oh, Lori, you do such beautiful work! I think they are great but I do love the filigree earrings so much. Oh I LOVE that Bracelet!!!! It's absolutely beautiful...and my favorite colors! Thanks for the Eye Candy!! !